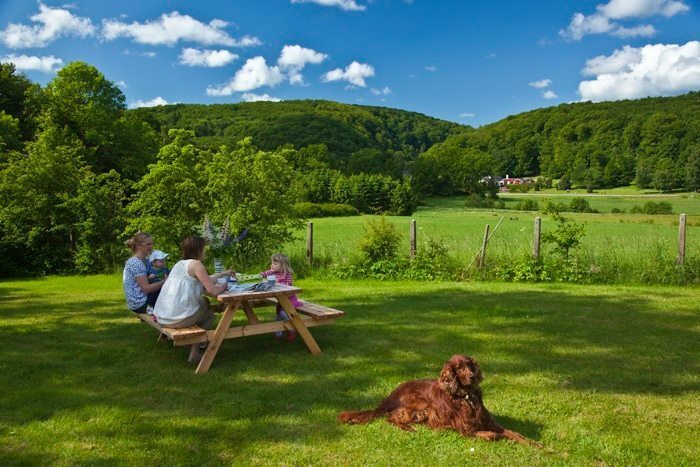 We are an active, relaxed and outgoing family of five who lives next to beautiful surroundings. 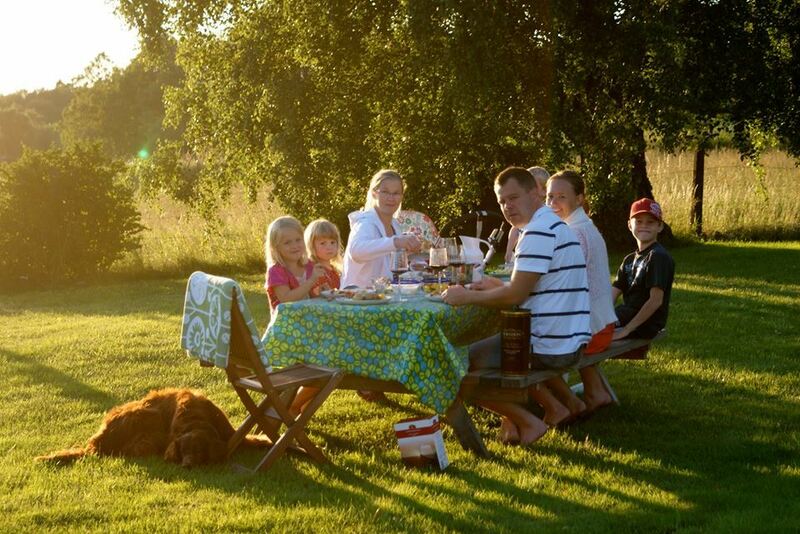 If you like wildlife and outdoor adventures Söderåsen is a great place for you to visit! We moved here in 2010 to live our dream and to open up a small hostel. Here you’ll find Söderåsen Nationalpark in Skäralid with a lot of hiking trails in the National park, nice small roads for biking, a scilent river perfect for caoning and a lot of picutesque villages and farm shops. We (Frida 39 and Stefan 41) both love travelling and have travelled a lot. To meet new people and to learn about other cultures is very rewarding. Today we don’t ravel as much but we enjoy having guests from all over the world staying in our hostel, Pensionat Söderåsen, and in that way we feel almost like we are travelling at home. Stefan is a HR manager and naval officer and works for the Swedish Armed Forces. Frida runs the business at home. Our children Märta (7), August (5) and Greta (3) all go to school and kindergarten in the village Ljungbyhed. We love animals and have a dog named Folke (Irish red setter), a cat named Jönsson, two goats (Majken & Kerstin) and some chickens. We are an active family who loves to head out for small adventures. We are so fortunate to live in this amazing part of Skåne that allows us to easily explore the wilderness of Söderåsen. We love to go hiking, canoeing, biking and sailing, yes pretty much all outdoor activities. BBQ’s and outdoor cooking is something we like a lot. In this area we also have a lot of farm shops and local producers, and we try to by our meat and vegetables from them. We both speak English fluently. Stefan speaks French and Frida speaks German, both at a moderate level. We look forward to welcome you to our home, to have dinner toghether with you and to let you have a glimps into our everyday life! If you would like accomodation you are most welcome to contact us. 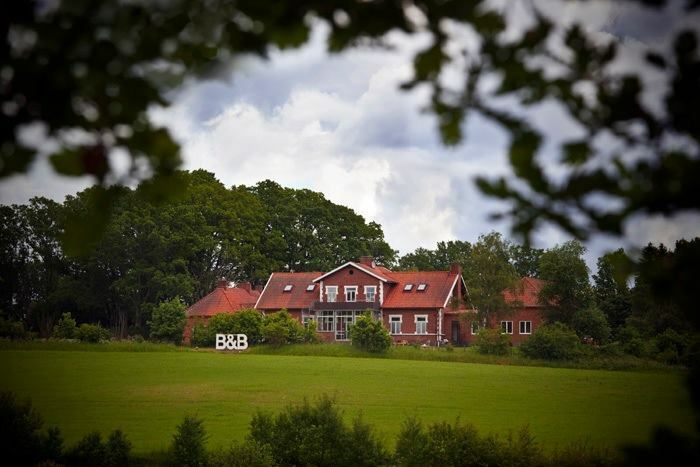 Our business is called Pensionat Söderåsen and we offer accomodation, conferences and events, and outdoor activities. 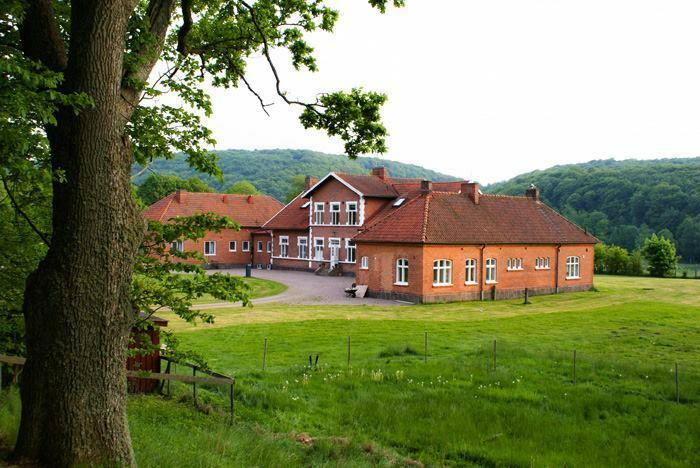 Stay with us at Pensionat Söderåsen!